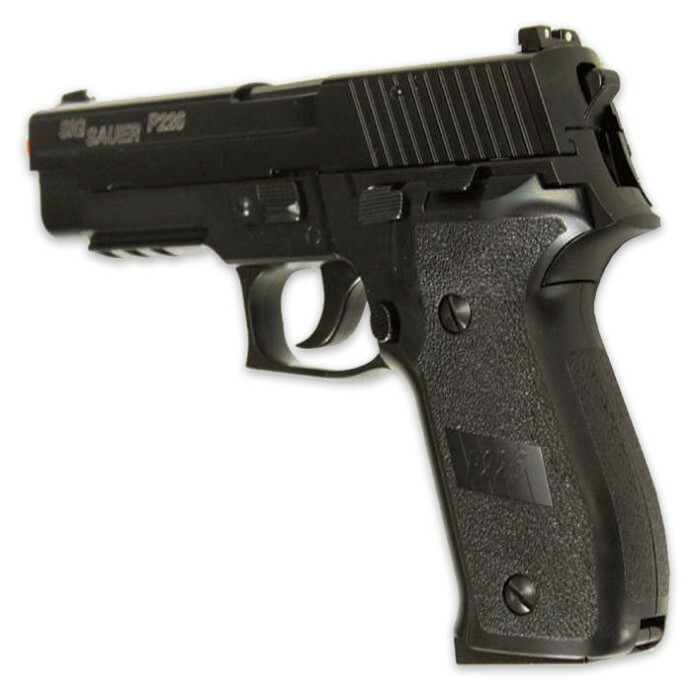 Sig Sauer P226 Semi Auto Gas Softair Metal Pistol | BUDK.com - Knives & Swords At The Lowest Prices! 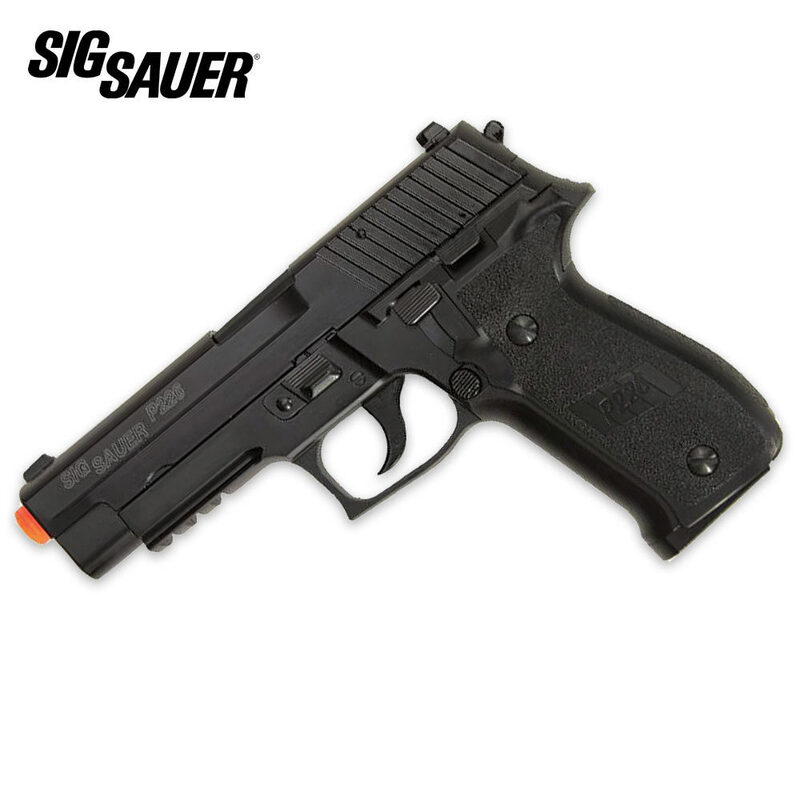 This officially licensed Sig Sauer P226 airsoft pistol looks and feels just like the real deal with its heavyweight design and full metal blow back feature. This gas-powered model delivers up to 383 feet per second and features a 26-round magazine capacity. 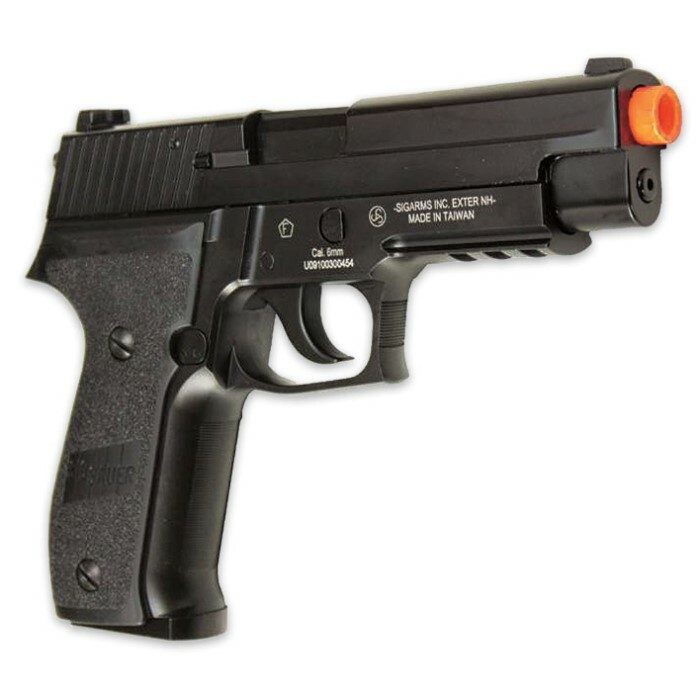 The adjustable spin-up shooting systems helps to achieve pin-point accuracy, and the built-in accessory raik allows you to dress this gun up with all your favorite tactical gear.